Jaded observers of Oklahoma politics often express their cynicism with the phrase, “the more things change, the more they stay the same.” In other words, while we may think we are making a difference, in reality, we are all just spinning our wheels. As someone who believes in the power of people to affect transformative change, I don’t like the phrase or its implications. So, at the risk of sounding like an Oklahoma version of Yogi Berra, I am coining a new one: “the more things change, the less they stay the same.” Engaged citizens are changing and improving Oklahoma every day, even if it sometimes feels like we are having the same conversations about the same problems. In fact, sometimes change happens because we insist on having those same old conversations until we break through. The bill passed the House of Representatives by a vote of 96-0 on March 11 and will now be up for consideration in the State Senate. Back in 2008, one of my colleagues and I authored House Bill 2919, which would have at the time given a similar $500 break for teachers. 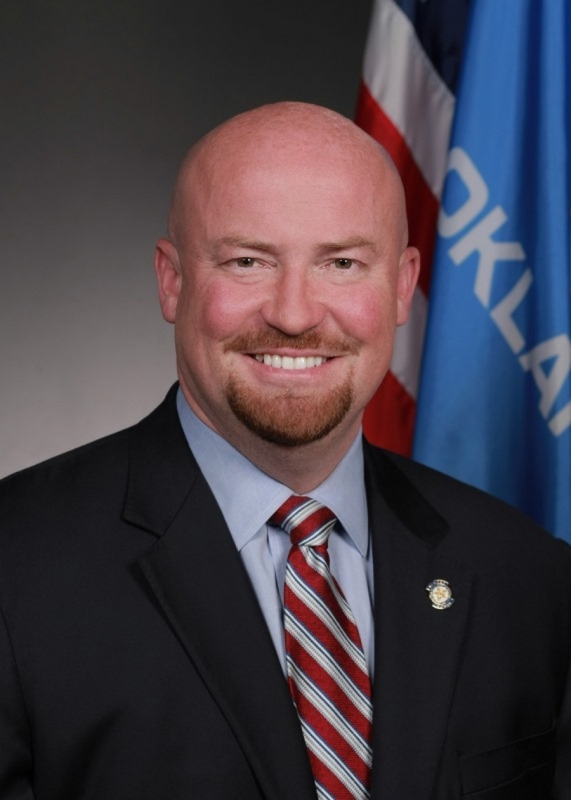 The legislation filed by Former Rep. John Trebilcock, R-Broken Arrow, was not given a committee hearing. Politics, as well as budget issues of the time, hurt his proposed new law. But now this same idea has been resurrected and even strengthened, with a proposed tax break that is twice as large as the original proposal. I want to thank Speaker McCall for expanding and championing this idea in 2019, and giving a long overdue concept a chance to become reality. 7) Monitoring compliance with state law and relevant standards related to an agency program. While some have balked at strengthening legislative services and support, I want to point out that about four decades ago, the current Legislative Service Bureau (LSB) provided the entire staff support to the House and Senate alike. Back then, paranoia by lawmakers broke this main service for both bodies into separate staff organizations for the Legislature. While the LSB is staffed today with competent and hardworking professionals, it is smaller and has capacity issues, especially given the wide-ranging policy issues it is asked to weigh-in and advise on. A need to strengthen and expand the LSB was recognized years ago by Former Speaker Loyd Benson, D-Frederick. He championed a similar proposal in the late 1990’s very similar to Sen. Greg Treat’s, but it was not given the support needed to pass at that time. As LOFT moves forward, it will restore much of what was provided in those olden days, but with modern technology to help the legislature accomplish their intended goal of better fiscal oversight for agencies. My thanks go out to Senator Treat and those filing similar concepts this year to give lawmakers the tools they need to provide effective agency oversight. As I mentioned at the beginning of this column, cynics might see these proposals and criticize them as evidence that nothing really changes. I see something else entirely: evidence that persistence pays off and eventually delivers success. As I always say (starting with this column! ), the more things change, the less they stay the same. As we move into the next round of consideration with bills discussed, OICA will work to keep you informed. Please sign up at OICA.org to receive our weekly email updates and action alerts. The Oklahoma Institute for Child Advocacy was established in 1983 by a group of citizens, to create a strong advocacy network that would provide a voice for the needs of children and youth in Oklahoma, particularly those in the state’s care and those growing up amid poverty, violence, abuse and neglect, disparities, or other situations that put their lives and future at risk.